October is home to so many different and interesting food-related holidays and events. World Egg Day on the 14th, World Food Day on the 17th, Nut Day on the 22nd, and of course you have Halloween on the 31st. However, as you may or may not already know, October is also National Pizza Month! Back in 1987, Congress dubbed October “National Pizza Month”, in honor of one of the most widely enjoyed foods in the country. As Americans, we love our pizza. In fact, if the pizza that was consumed on a daily basis in the U.S. was placed on the ground, it would cover almost 100 acres! That means Americans eat almost 350 slices of pizza per second! 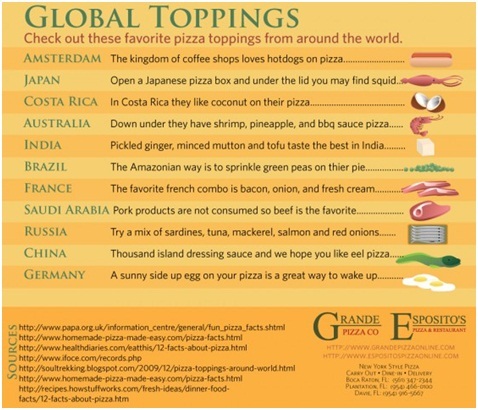 This country was home to the largest pizza in the world… until 30,000 people in Havana, Florida ate it! It weighed in at almost 45,000 pounds and served about 90,000 slices. Here at ChefUniforms.com, we love having pizza parties. 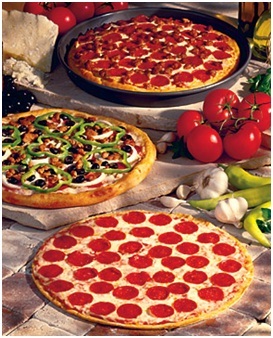 What’s your favorite type of pizza? Leave a comment below and share your favorites! Thin crust pizza, coal fired is the best way to go! All that breading is just too much and you can enjoy more slices when it’s thinner pizza! 350 slices a minute, that’s pretty sick! Who doesn’t love pizza? We have pizza every week @ my work, yum yum! I was there in Havana eating pizza when I was a teenager.